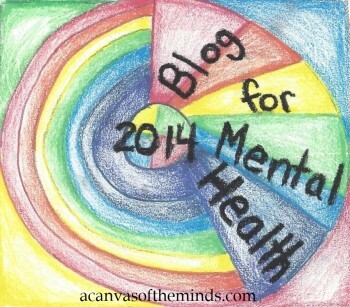 So, for those of you that may not be aware…I just started participating in a year-long therapy journey called DBT. It stands for Dialectical Behavioral Therapy. In one word? AMAZING! But at the same time….extremely difficult. This is my second week participating in the group portion of the therapy which I thought I would hate but I totally LOVE! 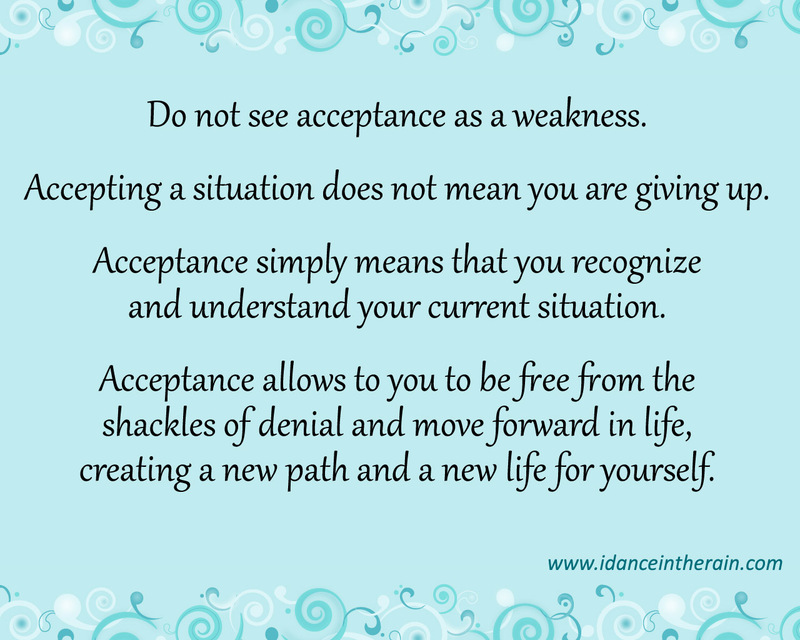 Tonight we talked about RADICAL ACCEPTANCE……take that in for a minute….Radical Acceptance….. Accepting any situation that you don’t WANT to accept is going to difficult right? Losing a loved one, discovering you have cancer, finding out your spouse has been having an affair, finding out your child is being bullied at school, just the tough stuff that is thrown at us on a daily basis. Even the smaller things like the dishwasher breaking, our child getting sick etc. BUT….to RADICALLY ACCEPT these situations and commit to not focusing on the bad, but accepting that the situation purely “is what it is.” That is HARD!!!! Tonight we did this activity where we had to write down 5 or 6 adjectives that we felt described us. Then we had to write down the opposite of those adjectives. Our group leader then told us to digest that in fact BOTH lists were true of ourselves. I looked at my lists and at first I was really sad, then I was kind of irritated because I didn’t want the opposites (the negatives) to be true. However, no one is perfect. My list made me a human being and I’m working on improving the negative stuff. I’ll leave you with this…..but I will write more soon. In the meantime….Is there a situation in your life you can work on radically accepting? Phone -# is 541-621-0303. Feel free to facebook me and ask me any other questions. ☺️. Thanks for this post. I loved it. I find radical acceptance is usefully to me both personally and professionally. Hope you stay with the DBT and see the magic results that can happen.